You may have heard Nina Totenberg. She’s a legal affairs correspondent for National Public Radio. You may also have heard Roman Totenberg. 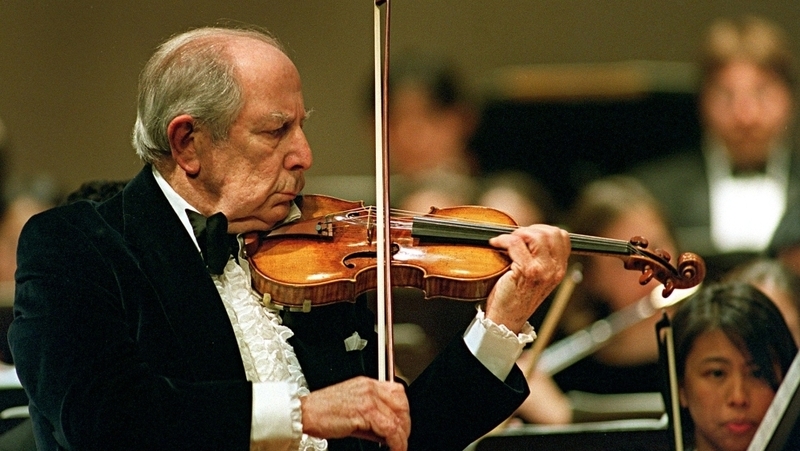 He was Nina’s father, and a world-renown violinist and educator. He enjoyed playing the 1734 Ames Stradivarius, until it was stolen in 1980. 35 years later the violin was recovered and returned to Totenberg’s daughters, who began the process of restoration. They looked for a way to get this magnificent instrument, now known as the Ames-Totenberg Stradivarius, into the hands of virtuoso musicians. Through an “angel” — someone the co-owners of Rare Violins of New York simply called “our friend” — the Totenberg sisters found a way to continue the violin’s legacy. Nathan Meltzer, the youngest ever to win the Windsor Festival International String Competition, is 18 years of age. Now the Ames-Totenberg Stradivarius is on loan to Mr. Meltzer from Rare Violins in Consortium, Artists and Benefactors Collaborative. Read more about this violin’s fascinating history from Rare Violins of New York, and hear Nina Totenberg herself tell this story at NPR.